Hello boys and girls! Love is in the air (probably just love. Don't breath too deep though.) and I have some lovely polish to share with you today! 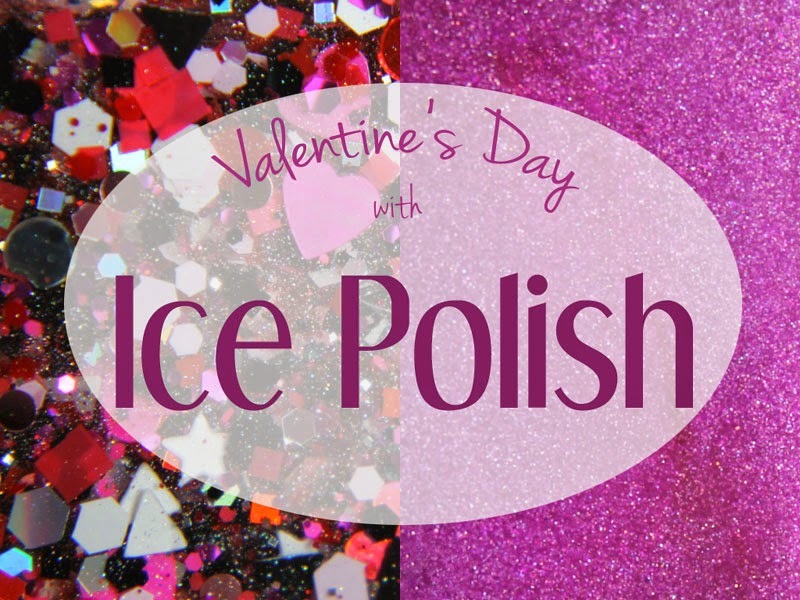 It is a duo from Ice Polish! 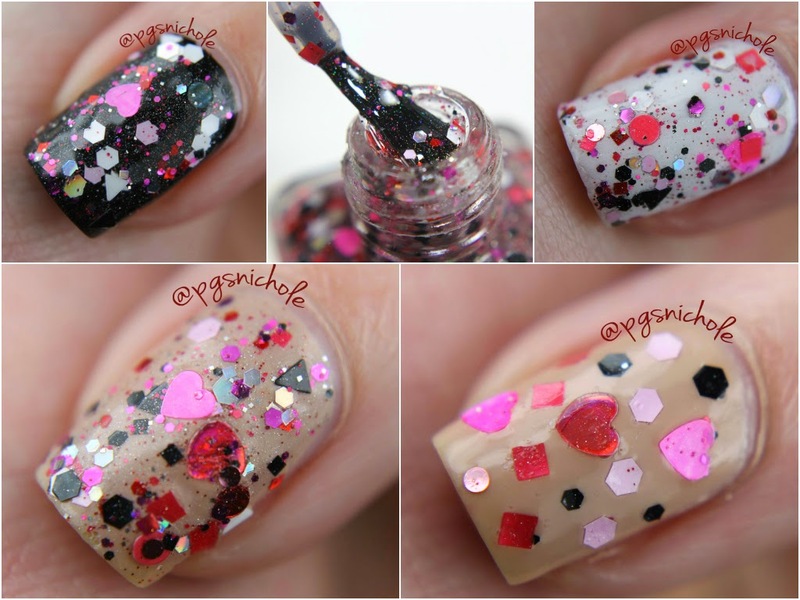 It is hard not to have a great evening when your night involves holo, pink, and glitter. First up is Do Ya Love Me? 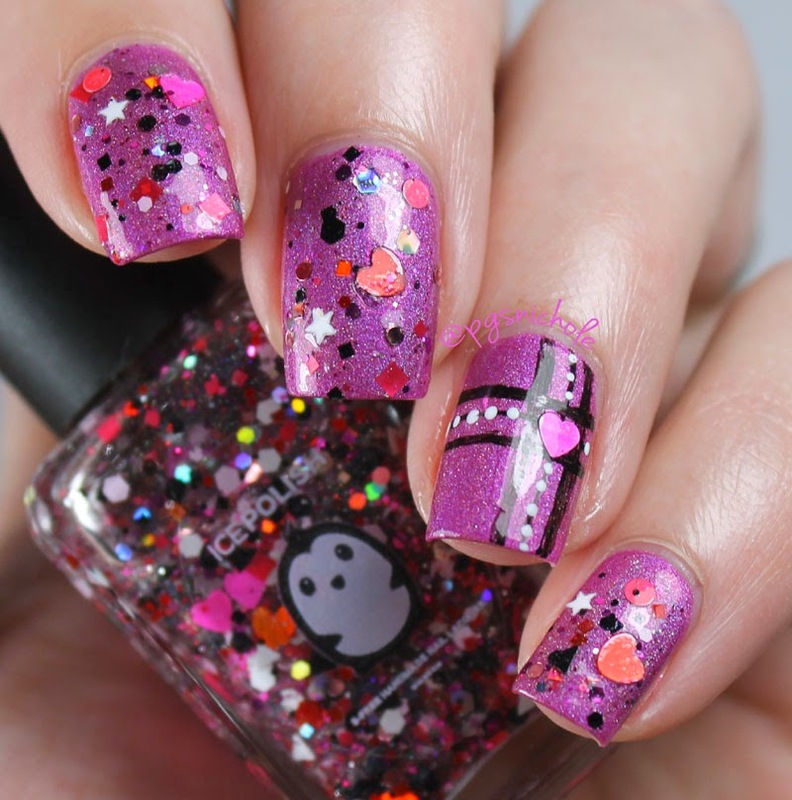 It is a cool toned medium purple-leaning pink with a strong holo rainbow. It is on the thicker side, so you only need two coats. It leveled nicely and dried quickly. I do feel like it is important to not that this didn't stain. A lot of pinks stain the bejesus out of me, but this one didn't. At least, not enough for me to notice. And honestly, even if it did...look at it! It's so pretty! This glitter topper is dense. In a good way. I used two thin coats below, and it is practically opaque. There are tiny holo and iridescent bits in there to fill up the in-between spaces, which makes it a madhouse of awesomeness. There are hearts, circles, stars, squares, triangles, tiny hexes, medium hexes, micro hexes...the list goes on. And on. Tl;dr you can apply this a hundred times and never get the same look. This pleases me as I have recently developed an addiction to hand-placed-glitter. Here is the duo together! I really love how they compliment each other. I also love how blindingly sparkly they are together. I suppose if you strike out on the V-day, you can always cause permanent blindness-by-sparkle in the one who spurned you! And really, isn't that what holidays are truly about? What do you think? Are you ready for Valentine's Day? I am seeing so many options for my fingers that I don't think I could choose a Valentine even if I were forced!These are already available in the Ice Polish shop so I suggest scampering over immediately. They are both amazing and you need them.